PALMDALE, Calif., Sept. 15, 2015 -- Aircraft mechanics at Northrop Grumman Corporation (NYSE:NOC) are looking at their work instructions in a new light following the official start of operations for a unique optical projection system on the company's F-35 Lightning II Integrated Assembly Line (IAL). 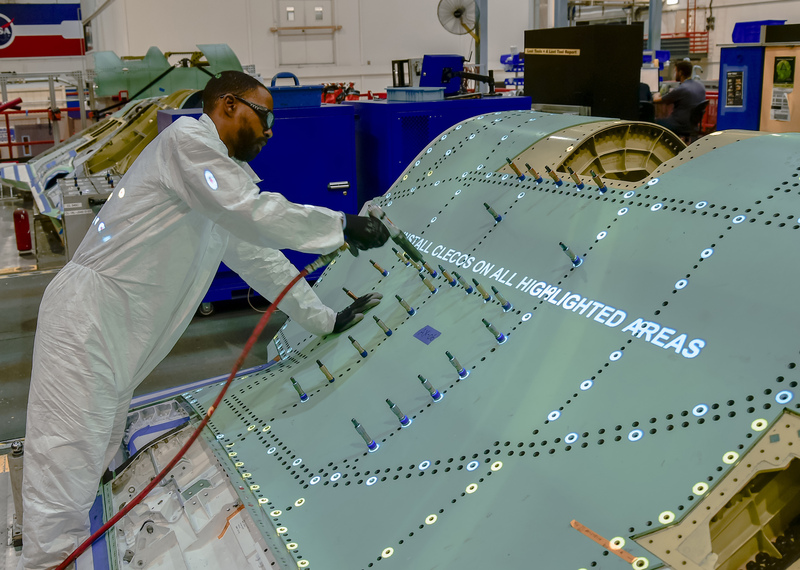 Known as FILLS, or Fastener Insertion Live Link System, the new approach automates many of the steps currently used by mechanics to verify, select and insert the thousands of fasteners used to attach composite panels to the contoured frame of the F-35 aircraft. Its 3-D optical projection technology and wireless handling of fastener hole measurement data are fundamentally changing the way mechanics assemble complex, high precision aircraft structures. 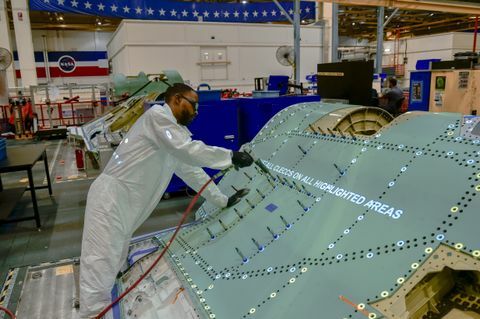 Northrop Grumman used FILLS to help assemble a production F-35 center fuselage â AF-106, an F-35A variant â July 6. 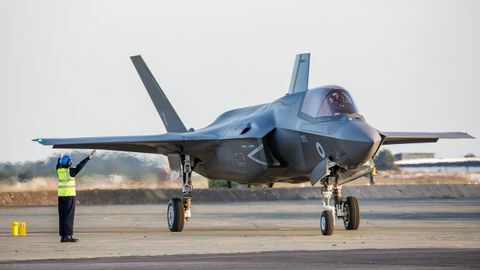 "FILLS is a critical part in our plan to increase F-35 affordability," said Brian Chappel, vice president and F-35 program manager, Northrop Grumman Aerospace Systems. "It simplifies and streamlines our center fuselage production process, which allows our mechanics to work faster, more efficiently, with a higher degree of precision." FILLS is one of many projects funded by Northrop Grumman under the F-35 program's Blueprint for Affordability initiative, he added. Its integration into the IAL is expected to save approximately $77 million over the life of the program. Developed by Variation Reduction Solutions, Inc., Delta Sigma Corporation and Northrop Grumman in collaboration with the U.S. Air Force Research Laboratory, FILLS provides a fast, automatic pathway for mechanics to identify and install fasteners in an aircraft composite panel according to that aircraft's "as-built" condition instead of the "perfect world" configuration defined by its engineering drawings. In a typical installation, FILLS guides a mechanic systematically through the process of measuring the depth of each fastener hole in a panel. This data is transferred wirelessly from the measuring device to an electronic database where it is used to create a custom kit of fasteners for each panel. When panels are ready for installation on the aircraft frame, FILLS projects on each panel, in sequence, the part number and location of each fastener type to be installed in that panel. Guided by these "on-surface" work instructions, the mechanic installs all fasteners of type A, then all fasteners of type B etc. "One of the significant benefits of FILLS is that it simplifies the training necessary for a mechanic to become proficient at installing fasteners," said Fritzi Moneza, lead manufacturing project engineer, FILLS, Northrop Grumman. "It also all but eliminates the repair costs associated with installing the wrong fastener in the wrong hole." 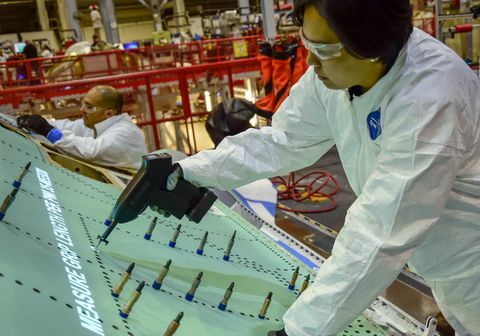 Northrop Grumman is currently using FILLS to assemble center fuselages for F-35A (conventional takeoff and landing) variants. The company plans to extend FILLS use to center fuselages for F-35B (short takeoff vertical landing) and F-35C (carrier) variants in the third quarter of 2015. Northrop Grumman is a principal member of the Lockheed Martin-led F-35 industry team. 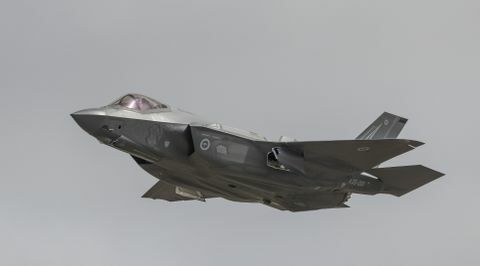 In addition to producing the center fuselage for all three F-35 variants, the company designed and produces the aircraft's radar and other key electro-optical and communications subsystems; develops mission systems and mission-planning software; leads the team's development of pilot and maintenance training system courseware; and manages the team's use, support and maintenance of low-observable technologies.